Special Containment Procedures: SCP-1428-1 is currently contained at Area-108, and is housed in a tungsten cage within a 1.5m x 2m x 1.5 m incinerator unit. The walls of the unit are constructed in 3 layers: the innermost layer is composed of fire-proofed concrete at a thickness of 30cm, the intermediary layer is composed of lead at a thickness of 15cm, and the outermost layer is composed of concrete at a thickness of 10cm. SCP-1428-1 is to be incinerated three times daily, at 12:00AM, 8:00AM and 4:00PM, at a temperature of 400 degrees Centigrade, for a period of 30 minutes. Under no circumstances are any personnel to enter the containment chamber or make direct physical contact with SCP-1428-1. Repair and replacement of equipment is to be carried out by remote-controlled drones. The chamber is equipped with dosimeters to detect whether SCP-1428-1 has entered a passive state; if this occurs, Contingency Fusang-A is to be implemented. SCP-1428-2 is to remain under surveillance for anomalous activity, and the site is to be enclosed with electrical fencing. Any civilians that approach or attempt to enter the site are to be detained, interrogated and administered Class-A amnestics. Personnel are to report if the object in the statue's third hand moves or regenerates. No fewer than 5 D-Class personnel are to be kept on-site and restrained for the purpose of carrying out Contingency Fusang-A. 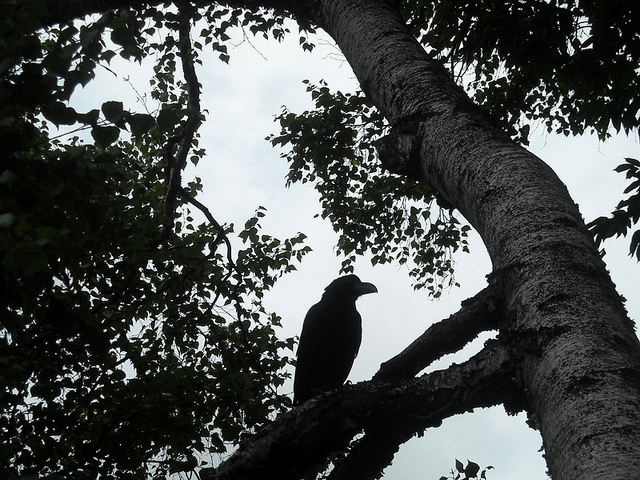 Description: SCP-1428-1 is a creature that superficially resembles Corvus macrorhynchos. It is tripedal and does not possess cloaca. The third leg has been observed to remain tucked up under its body unless it enters an active state. It does not need to eat, sleep or breathe, does not age and suffers no physically adverse effects from prolonged exposure to extremely high temperatures1 or radiation. SCP-1428-1 has never been observed to communicate, and its intelligence is unclear. SCP-1428-1 has 3 states: inert, passive and active. While inert, it demonstrates no anomalies other than those previously stated. Passive states are marked by gamma radiation emission at varying intensity. There is no clear consistency in the charge of the radiation over time, generally ranging from 5 to 90W/m2, but occasionally reaching levels of 150W/m2. The energy ranges from 1 to 1.5MeV. During an active state, SCP-1428-1 will produce plasma and thermal energy consistent with the solar corona, coupled with a burst of gamma radiation at an exponentially increased intensity (recorded charges have been as high as 340W/m2 with 20MeV). While the thermal effects of an active state persist only for an instant, and are confined to the immediate vicinity of SCP-1428-1, the sheer magnitude of the release invariably results in catastrophic damage. Following an active state, SCP-1428-1 will begin to emit aurora bands consistent with solar radiation. 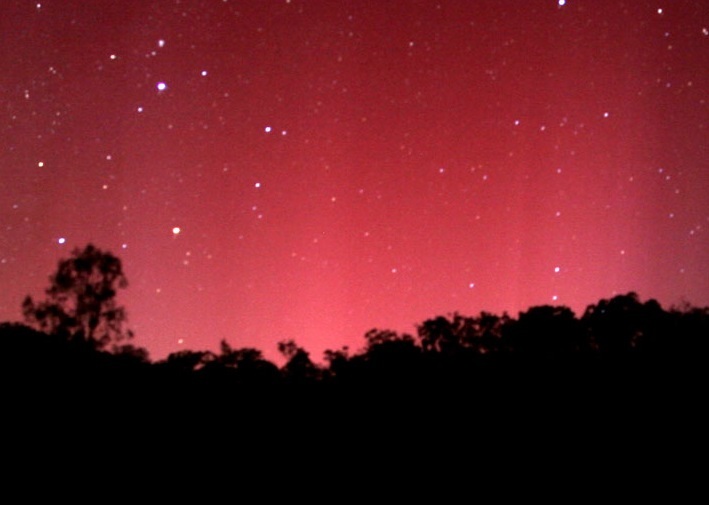 These bands appear to induce a compulsive effect in human observers, causing them to attempt to approach the source of the aurora. Individuals under the influence of this effect are completely unresponsive to external stimuli, and will perform no action other than approaching the aurora. The bands persist for approximately one full day after the active state has ended. While SCP-1428-1 is in a passive state, it will enter active states once every three months (median), unless exposed to external combustion at an intensity of approximately 400 degrees Centigrade or greater, which will cause it to become inert. While physical contact with the SCP-1428-1 is possible, any attempt to physically harm it (other than incineration) will result in an active state. SCP-1428-2 is a temple or shrine located in the ███████ Province of China, approximately ██ km north-northwest of the site where SCP-1428-1 was discovered. The site was constructed in approximately ████ BCE, and contains religious text and iconography inconsistent with the region. The most significant of these inconsistencies are a ritualistic form of human immolation, and the presence of an entity known as [REDACTED]. This entity is a three-armed humanoid, and is featured in numerous designs throughout the site. The majority of these designs depict what appears to be SCP-1428-1 perched on the entity's shoulder. A .5m x 1.5m x .5m jade statue of [REDACTED] is located at the approximate center of the site, and the entity holds an object in each of its hands: the Earth, the Sun, and a partially burnt2 [DATA EXPUNGED]. This is genuine instead of being constructed of jade, and shows no signs of decomposition despite being at least [REDACTED] years old. Additionally, while biologically dead, it generates a temperature of 30 degrees Centigrade, and has been observed to make subtle movements. It will occasionally fixate upon individuals that enter its range of sight and open its mouth as though trying to speak. After analyzing several texts recovered from the site and considerable testing, it is confirmed that human immolation in SCP-1428-2's vicinity will effectively cause SCP-1428-1 to "skip" its next active state. If immolation occurs, the [DATA EXPUNGED] will begin to gesticulate as though silently laughing, and the burnt tissue on its being will regenerate at a rate proportional to the number of individuals killed by the procedure. Addendum [1428-001]: Contingency Fusang-A: The intensity of incineration on SCP-1428-1 is to be increased to 800 degrees Centigrade. If SCP-1428-1 does not revert to an inert state within 30 seconds, one Class-D personnel housed at SCP-1428-2 shall be immolated. Subsequent personnel may be immolated as necessary. Addendum [1428-002]: On [REDACTED], the object in the statue's third hand modified its orientation of its own accord and began to fixate upon the approximate location of Area-108. Its position has not shifted since the incident, and no other anomalies have been reported. Dr. Adler: This is Dr. ████ Adler, presiding over this emergency meeting regarding SCP-1428 on [REDACTED] at 8:45 AM. Dr. Albert: We need to amend Fusang-A. Dr. Adler: What do you mean? Dr. Albert: I've just been meeting with the anthropologists at SCP-1428-2: we need to stop burning D-Class. Dr. Albert: No, listen to me, ████. The crow is not the real problem. Dr. Adler: Seems like a pretty big problem. Dr. Albert: There's a reason why it hardly responds to anything we do. It's…it's effectively on autopilot. Dr. Albert: As long as [REDACTED] is dead, or asleep, or whatever, there's nothing to give it directions. So it just flies around and…leaks radiation everywhere. Dr. Adler: And the active states? Dr. Albert: That's part of a ceremony. The followers of [REDACTED] could survive the radiation. Dr. Albert: When we start burning people at the temple, the crow senses it as a similar type of ceremony, so it doesn't enter an active state. But burning people in that place has a completely separate consequence. If we let that thing finish regenerating, it will attempt to contact the sun, which is where the crow supposedly came from, and where [REDACTED] currently is. Dr. Adler: What will it say? Dr. Albert: I don't know. The designs were so eroded we could only translate one word from the message. 1. No limit to this ability has yet been found; it has been observed to withstand temperatures in excess of 1,000,000 degrees centigrade. 2. Upon discovery, roughly 78% of its flesh was burnt; the current percentage is closer to 69%.